In today’s Queen’s Speech (27 May 2015) the government has set out its legislative stall for the coming Parliamentary session, as it attempts to make its manifesto pledges a reality. As is often the case at the start of a new government, the speech was packed with a great deal of promised legislation, including on welfare reform, health, housing, devolution, energy and transport issues. To accompany the Queen’s speech the government has produced a detailed briefing note on all the bills being announced today. Here are the main areas of interest for civil society organisations working on corporate accountability on human rights and environmental issues. The Bill will allow the government to hold a referendum (by the end of 2017) on whether the UK should remain a member of the European Union. This is part of the government’s wider plan to renegotiate its relationship with the European Union, although it seems that the public will simply get presented with a ‘should we stay or should we go’ vote. Many of our domestic laws have their roots in European Directives and severing ties with the EU could result in many of these being watered down. The Human Rights Act Repeal Bill was conspicuous by its absence in the Queen’s Speech. Instead, there was a promise of proposals for a new British Bill of Rights, with the government opting to move more slowly on reform that it had originally intended. This is not surprising given the public facing campaigns that have already formed to save the Act, as well as the cautionary notes from senior Conservative figures including the former Attorney General the Rt Hon Dominic Grieve QC MP. According to an analysis by Brandwatch, a social media analytics company, the most popular topic for tweets using the #QueensSpeech hashtag was the Human Rights Act, which won’t have escaped government whips and bill sponsors. Formerly known as the draft Protection of Charities Bill, the purpose of the bill is to protect charities from abuse, strengthen the powers of the Charity Commission for England and Wales and enable charities more easily to undertake social investment. Arming the Charity Commission with additional powers is guaranteed to set hares racing in the sector, particularly given moves in the last Parliament to clamp down on charities’ activities, including through the Transparency of Lobbying, Non-Party Campaigning and Trade Union Administration Act 2014. Reassuringly, the new powers appear to be directly linked to action on tackling deliberate wrongdoing and abuse. 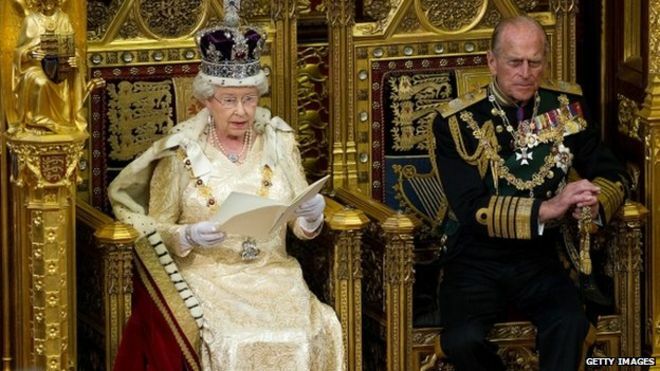 Perhaps the biggest winner of the Queen’s Speech is devolution with bills on Northern Ireland, Scotland and Wales that will further extend the devolved nations’ powers (and autonomy?) and a commitment to deliver English votes for English laws. As part of George’s Osborne’s ‘northern powerhouse’ vision new powers are promised for elected English City Mayors on transport, housing, planning, health and social care. The government is committed to playing a leading role in global affairs, using its presence all over the world to re-engage with and tackle the major international security, economic and humanitarian challenges. This is a good platform for campaigners on modern slavery and forced labour, building on the momentum created by the Modern Slavery Act 2015. On climate change, the government says that a global deal at the Paris climate conference in December 2015 is strongly in the UK’s interests. The Trade Unions Bill heralds major reforms for trade unions, and public sector strike actions. The Enterprise Bill will contain measures to reduce regulation on small businesses, carrying on the government’s mission to cut red tape. For the first time, independent regulators will be required to contribute to the target of reducing red tape by at least £10bn. This could divert essential resources away from cash-strapped regulators (e.g. the Gangmasters Licensing Authority and the Independent Anti-Slavery Commissioner) if appropriate safeguards or exemptions are not in place. Bills will now be published and timetabled and Parliament scrutiny will begin. With a slim majority of MPs in the House of Commons, the government might be expected to make reasonable progress on many of these, but the House of Lords could yet prove to be a stumbling block. As Labour and Lib Dem Peers outnumber their Conservative counterparts, and independent Crossbenchers have a strong interest in social justice and constitutional affairs, some fascinating battles could lie ahead for some of the more controversial bills or measures.